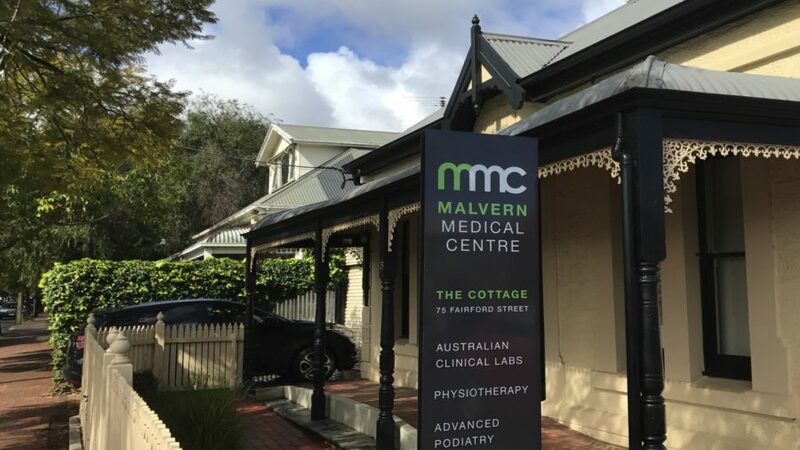 At Malvern Medical Centre our goal is to offer high-quality, individualised and affordable health care for you and your family. The original surgery has its roots in a local practice that has cared for people in the Malvern/Unley area for over 80 years. In the year 2000, the practice moved from a bungalow on nearby Opey Avenue to its current, much larger, premises on Unley Road. In the mid 2000s, the practice further expanded into an adjacent shop adding another three rooms to the centre. Today, the main building offers eight generous sized consulting rooms (including a dedicated treatment room), a comfortable waiting room and a modern reception area and ample on-site as well as adjacent off-site car parking. In 2012, a second building was added to the practice behind the main centre. With the partial assistance of a Federal Government grant, this character Cottage was fully renovated and converted into a dedicated Medical and Allied Health suite with a focus on general practice, counselling, podiatry, chronic disease management and audiology. In addition to our GPs the Cottage is home to a Pathology Collection Centre, three Psychologists, a Podiatrist, a Dietitian and an Audiologist. There is ample parking for patients immediately adjacent to the main building, the Cottage and nearby. This parking comprises the on-site car park between the main centre and the Cottage, including a dedicated disabled car park for permit holders and off-street parking of one and four hours duration in Fairford St along the side of the main building and the front of the Cottage. Additionally there is parking of one hour duration on the eastern and western sides of Unley Rd at the front of the main building and across the road (other than during clearway and bicycle lane hours; effective mid-May these will be extended to City bound: 7.00am to 10.00am and Outbound: 3.00pm to 7.00pm), and one hour parking in Hart St directly opposite the main building, across Unley Rd. The entrance to the main centre is on the northern side of the building. We are committed to high-level safety and quality in healthcare: The Royal Australian College of General Practitioners has independently assessed us as a centre of primary healthcare excellence. Our focus involves continual monitoring and adaptation to enable ongoing state-of-the art clinical care and patient communication standards.